Stakeholder consultations aim to establish contacts between rapporteurs and representatives of various stakeholders such as associations of local and regional authorities and local or regional offices. During these consultations, participating stakeholders discuss their viewpoints with the rapporteur, who may decide to take them into account in the draft opinion. See below for a schedule of stakeholder consultations held by the European Committee of the Regions at the request of rapporteurs preparing draft opinions for commission meetings. The European Committee of the Regions (CoR) is drafting an opinion on "Research Infrastructures – the Future of the European Research Area (ERA) from a Regional and Cross-border Perspective", rapporteur, Mr Eamon Dooley (IE/ALDE). The hearing, organised by the European Committe of the regions, will focus on the future role of cohesion policy in supporting coal regions in transition. 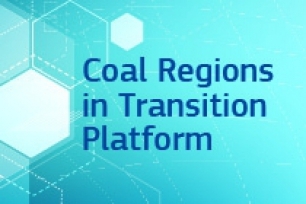 It is part of the next meeting of the Coal Regions in Transition Platform organised by the European Commission. The European Committee of the Regions (CoR) is drafting an own-initiative opinion on Strengthening STE(A)M education in the EU. The opinion will examine, in line with the principle of multi-level governance, how local and regional authorities can help to address the existing shortcomings in training courses in STEM subjects, the STEM workforce and STEM-related jobs. The European Committee of the Regions (CoR) is drafting an opinion on A sustainable Bioeconomy for Europe: Strengthening the connection between economy, society and the environment (COM(2018) 673 final). The opinion will react to and bring forward ideas from the local and regional point of view to the European Commission's Communication published on 11 October 2018. The rapporteur of the opinion, Mr Jácinth Horváth (HU/PES), Member of Nagykanizsa Municipal Council, together with his expert, Mr Ákos Koós, would be happy to meet with representatives of your organisation and other important stakeholders for a consultation and an exchange of views on the relevant topics of this opinion to gather the different points of views and discuss the main issues. In cooperation with the European Association of Public Banks (EAPB), represented by the Hungarian Development Bank (MFB), and the German Public Banks (VÖB) representend by the Investitionsbank Saxony-Anhalt, the European Committee of the Regions is pleased to invite you to the lunchtime briefing: "European Structural and Investment Funds (ESIF): The role of regional & national promotional banks in bridging the investment gap". This lunchtime briefing will explore the role of regional and national promotional banks in addressing the investment gap at local and regional level with the support of ESI Funds. Two concrete examples of instruments designed for the specific needs of two regions will illustrate the process of setting up and implementing financial instruments, as well as the benefits for the final beneficiaries and for the regional and national economy. The European Committee of the Regions (CoR) is currently preparing an own-initiative opinion on "A place-based approach to EU industrial policy". The CoR's ECON Commission has appointed as rapporteur for this opinion Ms Jeanette BALJEU (NL/ALDE), Commissioner in the Province of South Holland. The opinion aims to make the political case for how an EU industrial policy strategy can be implemented using a territorial or place-based approach, for the role of regional and local authorities in its implementation and for how their role can be supported by EU initiatives. It also aims to highlight how such a strategy can contribute to a low carbon and circular economy that is a driver of innovation and new business and employment opportunities in a regional and local context. In preparation for this opinion, the rapporteur would like to invite all relevant stakeholders to take part in an exchange of views on 15 February 2019 at the CoR in Brussels. Mr. Pietro Celotti and his colleagues from the consultancy company t33 will make a short presentation of a study on "Implementing a place-based approach to EU industrial policy strategy" which the CoR has commissioned. While this consultation is open to all interested parties, representatives of cities and regions as well as think tanks, NGOs and associations working in the field of industry and related areas are particularly welcome. Participants will be encouraged to concisely explain their views on the topic and should be ready to take an active part in the exchange. The European Committee of the Regions (CoR) is drafting an Opinion on Multilevel governance and cross-sectoral cooperation to fight energy poverty. The European Committee of the Regions (CoR) is drafting an Opinion on A Clean Planet for all A European strategic long-term vision for a prosperous, modern, competitive and climate neutral economy. Following a referral by the Romanian Presidency and in view of the upcoming second report of the European Commission on the implementation of Macro-regional strategies, the European Committee of the Regions (CoR) has decided to prepare an opinion on "Macro-regional strategies, such as the Danube: a framework for promoting transnational clusters". We are pleased to announce that Mr Dainis TURLAIS (LV/ALDE), rapporteur for the CoR opinion on the matter, would like to meet with representatives of local and regional associations and other stakeholders for a consultation and an exchange of views on the relevant topic of this opinion. The consultation meeting will take place on 29 January 2019, from 10:45 to 12:15 in the European Committee of the Regions building (Rue Belliard 99-101, 1040 Brussels), room JDE 51. The European Committee of the Regions (CoR) is drafting an opinion (ECON-VI/036) on the "The European Globalisation Adjustment Fund"